343 Commonwealth is located on the north side of Commonwealth, between Hereford and Massachusetts Avenue, with 341 Commonwealth to the east and 345 Commonwealth to the west. 343 Commonwealth was designed by Bradlee, Winslow, and Wetherell, architects, and built 1882-1883 as the home of George Glover Crocker and his wife, Annie Bliss (Keep) Crocker. George Crocker purchased the land for 343 Commonwealth on May 6, 1882, from Fanny Pope (Hovey) Morse, the wife of John Torrey Morse, Jr. They lived at 9 Fairfield. She had purchased the land on October 20, 1879, from Grenville T. W. Braman, Henry D. Hyde, and Henry M. Whitney, trustees of a real estate investment trust that had purchased several parcels of land on March 1, 1872, from the Boston Water Power Company. Click here for an index to the deeds for 343 Commonwealth, and click here for further information on the land on the north side of Commonwealth between Hereford and Massachusetts Avenue. By the 1883-1884 winter season, George and Annie Crocker had made 343 Commonwealth their home. They previously lived at 74 Boylston. They also maintained a home in Cohasset. George Crocker was an attorney. He was a Massachusetts State Senator from 1880 to 1884, and subsequently served as a member of the Massachusetts Railroad Commission. The Crockers raised their five children at 343 Commonwealth: George Glover Crocker, Jr., Margaret Crocker, Courtenay Crocker, Muriel Crocker, and Lyneham Crocker. George Crocker, Jr., was a lawyer in his father’s firm. He married in June of 1905 to Julia Hurd Hutchins. After their marriage, they lived in an apartment at 386 Commonwealth and then in Cohasset. Courtenay Crocker, also a lawyer, married in February of 1912 to his first cousin, once removed, Clara Ballard Crocker (the daughter of George Uriel Crocker). After their marriage, they lived at 503 Audubon Road. Margaret Crocker married in April of 1912 to Delano Wight, a lawyer. After their marriage, they lived in Brookline and Cohasset. George Crocker, Sr., died in May of 1913. Annie Crocker continued to live at 343 Commonwealth with their two unmarried children, Muriel and Lyneham Crocker. She also continued to maintain a home in Cohasset. On January 7, 1914, the five Crocker children transferred their interest in 343 Commonwealth, as inherited from their father, to Annie Crocker. Lyneham Crocker married in June of 1915 to Mary Thorndike. After their marriage, they lived at 483 Commonwealth. He later became a manufacturer of electric heating equipment and an investment counselor. Annie Crocker died in September of 1929 and Muriel Crocker moved soon thereafter. 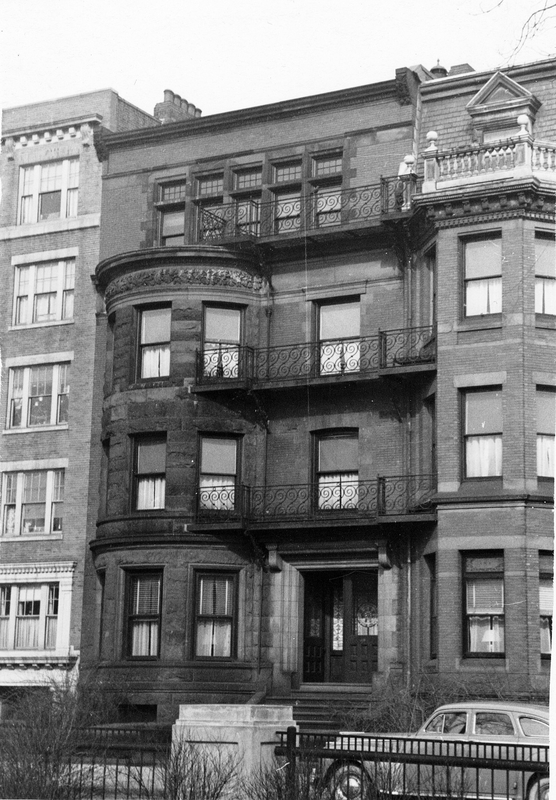 On July 30, 1930, 343 Commonwealth was purchased from Annie Crocker’s estate and heirs by Charles H. Hemenway, and on April 10, 1931, the Institution for Savings in Roxbury foreclosed on its mortgage to him and took possession of the property. On July 1, 1931, 343 Commonwealth was acquired from the Institution for Savings in Roxbury by the Garland School of Home Making (later to become Garland Junior College). It had acquired 341 Commonwealth one month earlier. Both properties were shown as vacant in the 1931-1933 City Directories, but had been converted into dormitories by 1934. In April of 1976, Garland Junior College announced that, because of financial difficulties, it was merging with Simmons College. It subsequently sold twelve of its properties and transferred the remainder — those located furthest west (407-415 Commonwealth, 24 Charlesgate East, and 451 Marlborough) — to Simmons College. Glen G. Grant, trustee of the Commonwealth College Trust, purchased eleven of the twelve properties that Garland Junior College sold. On October 27, 1976, he purchased 315 and 341 Commonwealth, and 447 and 449 Marlborough; on January 4, 1977, he purchased 319, 321, 329, 337, 339, 343, and 377 Commonwealth. The twelfth property, 349 Commonwealth, had been purchased in September of 1976, by Andrew Saggese, Jr., trustee of the Drew Realty Trust. On May 27, 1980, Glen Grant transferred 315, 319, 321, 337, 339, 341, 343, and 377 Commonwealth to Judith S. Schwartz, trustee of Seofon Trust (the deed was dated in May of 1980 but recorded on June 9, 1981). In May of 1981, the Commonwealth College Trust filed for permission to convert 343 Commonwealth from a dormitory into seven apartments, which it stated was the existing use. It subsequently abandoned the application. On May 7, 1982, Judith Schwartz sold 319, 321, 337, 339, and 343 Commonwealth back to Glen Grant and Mac C. Grant. On May 24, 1982, they transferred 337-339 Commonwealth to Dorothy F. Wirth, trustee of the 337-339 Commonwealth Avenue Trust, and on June 8, 1983, they transferred 319, 321, and 343 Commonwealth to her, also as trustee of the 337-339 Commonwealth Avenue Trust. 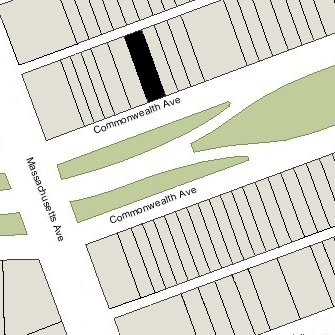 In November of 1983, the 337-339 Commonwealth Avenue Trust applied for (and subsequently received) permission to convert 343 Commonwealth into eight apartments, which it indicated was the existing condition. 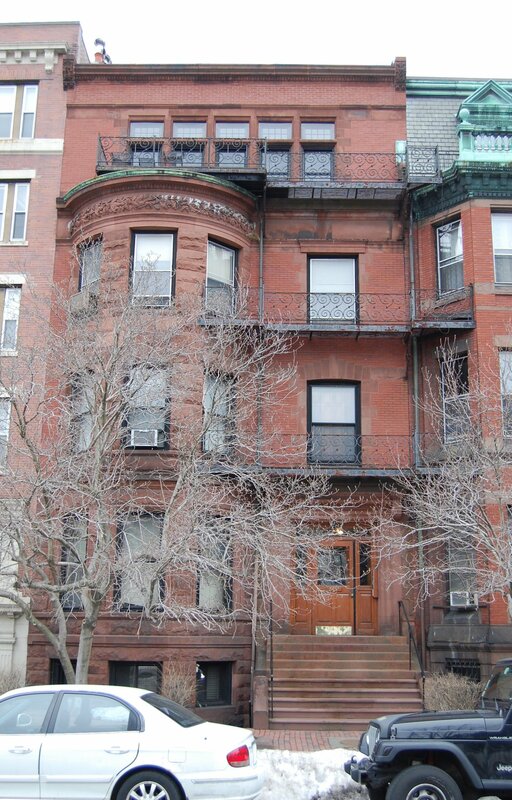 On January 4, 1984, Dorothy Wirth converted 343 Commonwealth into seven condominium units, the 343 Commonwealth Avenue Condominium.